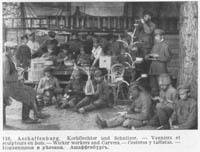 1 During the course of World War I, the monumental task of feeding and caring for millions of war prisoners took a heavy economic toll on the Central Powers. 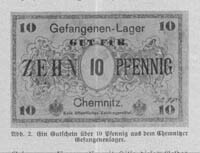 Faced with the Allied blockade, the German and Austro-Hungarian governments took two steps to alleviate the situation. 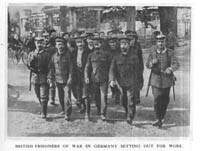 The first was a political solution in which the Central Powers actively recruited volunteer troops from dissident minorities among the Allied prisoners. 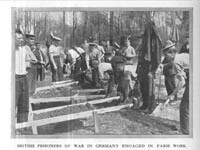 The Germans and Austro-Hungarians set up special "propaganda camps," where conditions were far superior to those in most military POW facilities. 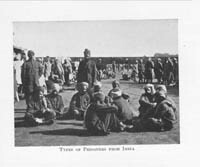 They sent minority groups-especially Irish, Muslim, Polish, and Ukrainian prisoners-to these camps, where they received improved rations, entertainment, and special privileges. 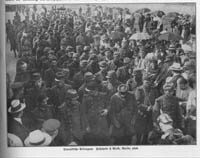 The Central Powers' goal was to recruit these men to join special national detachments and fight for the independence of their subjected nations. Instead of being burdens to the Central Power economies, these men would take up arms and fight for the independence of Ireland, North Africa, Central Asia, Russian Poland, and the Ukraine. This policy was derived from President Woodrow Wilson's doctrine of "national self-determination," except that the Central Powers hoped to set up a post-war political and economic system in Europe based on vassal kingdoms and satellite states. 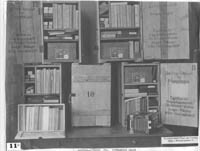 American YMCA secretaries recognized the special problems these POWs faced, caught between the loyalty they had sworn to the Allied governments and the contempt they faced from other Allied prisoners. While not suffering from as many physical problems, these prisoners faced strong mental pressures. 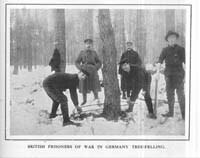 2 The second step in alleviating the POW burden was employing the prisoners as laborers to replace Germans mobilized for the war effort. Under the Hague Conventions, the use of POW labor was clearly defined. 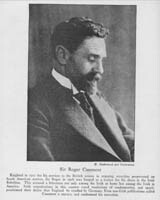 Work was mandatory for all healthy enlisted men and voluntary for non-commissioned officers, although employment in the war industries (munitions plants and armament factories) and near the front lines was prohibited. Both the Allies and Central Powers violated these conventions. 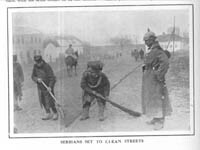 Work conditions in the Central Powers varied greatly, from horrendous (for prisoners working in the German salt mines) to healthy (for POWs employed in agriculture). 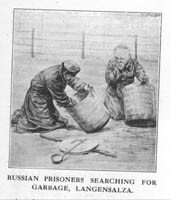 The American YMCA secretaries applauded the German government's decision to put as many prisoners to work as possible. Prisoners could leave the confines of the barbed-wire compounds, get into new surroundings, and work for extra money. But there were serious problems for the Association in serving labor detachments. Men were no longer concentrated in prison camps, but dispersed across the countryside, which made YMCA relief operations far more difficult. Secretaries had to travel even farther to contact smaller numbers of prisoners. The Association had to devise new methods to maintain contact with Allied prisoners in work detachments. 3 In addition, this study has focused primarily on the POW policies of the Prussian government. 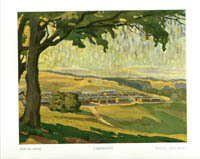 The American YMCA also had to deal with the lesser German kingdoms in order to expand WPA operations across the entire German Empire during the war. Bavaria, Saxony, and Württemberg maintained independent Ministries of War after German unification in 1871, and they controlled large numbers of Allied prisoners. The Association had to negotiate with these governments to gain access to POWs and to provide WPA services. 26 By February 1917, the American YMCA had an extensive WPA system in place across Germany and Austria-Hungary. 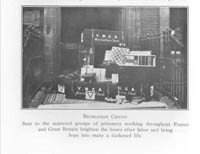 The Association had opened Central Power prison camps to WPA field secretaries, and these men had established a broad range of welfare services for Allied prisoners. 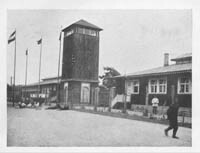 The YMCA overcame the problems associated with labor detachments, conducting operations in the lesser German kingdoms, and even extending Association programs to POWs in propaganda camps. The one area where success eluded the Association was in the establishment of a food supply distribution system. The YMCA's WPA organization came to a grinding halt in February 1917 when the United States broke diplomatic relations with Germany. The future of the POW relief program looked bleak as the Association had to decide whether or not to pull American secretaries out of service in Central Europe.